Everyone knows the key to a good party is an eye-catching appetizer at the center of the buffet table, and this delicious and stylish tart is no exception! Wow your guests with this impressive design that will have them begging for more. 1. Preheat the oven to 350°F. Prepare the filling by combining the above ingredients and mixing well with your hands. 2. 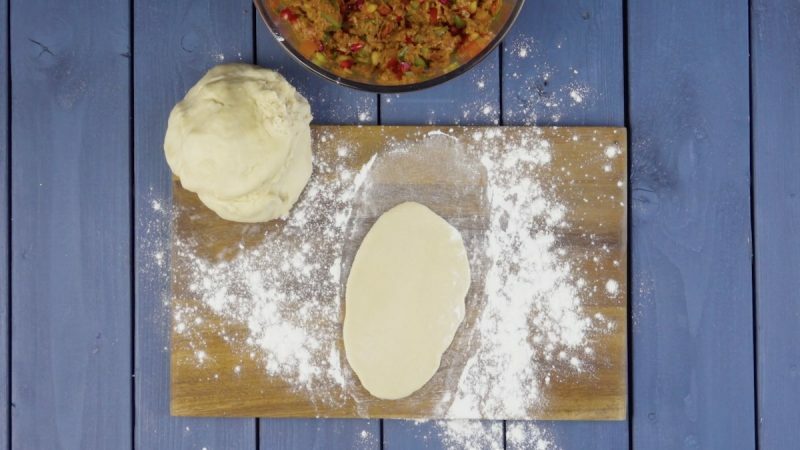 Prepare the dough using the above ingredients and let it sit for a few minutes. 3. 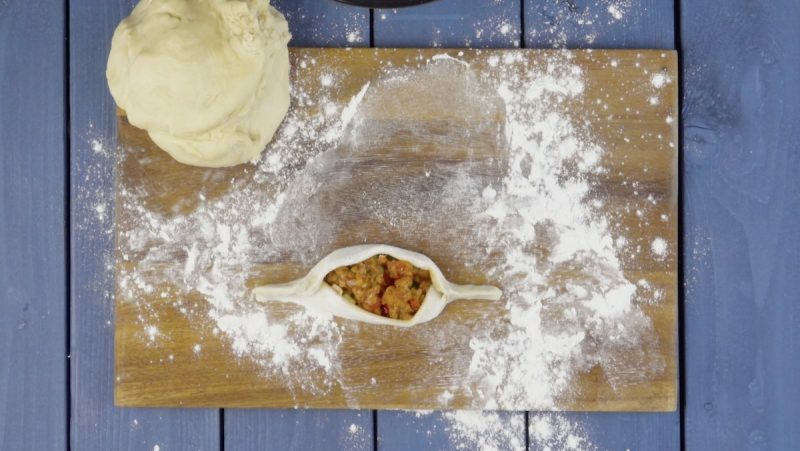 Pull small pieces of dough from the main ball and roll each one out into an oval on a floured work surface. 4. Place one tablespoon of the filling on the center of each oval dough piece. 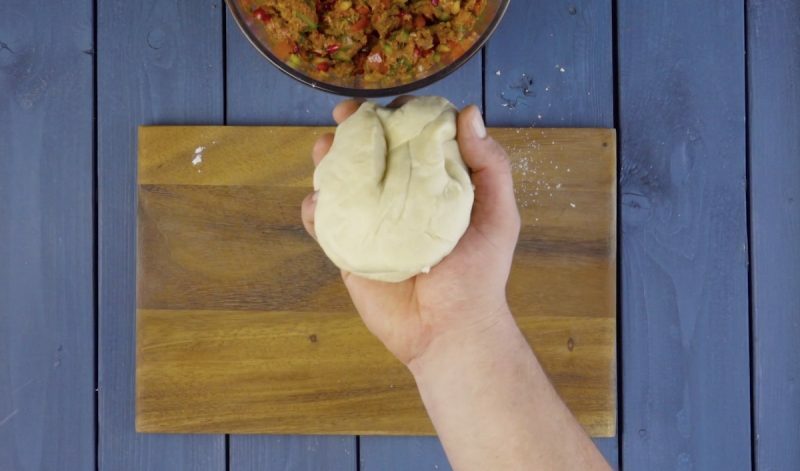 Then fold the dough together on the sides and firmly press the ends together with your fingers. In the end, they should slightly resemble boats. 5. Repeat until you have used up all the dough and filling and bake for about 15 minutes, or until golden brown. 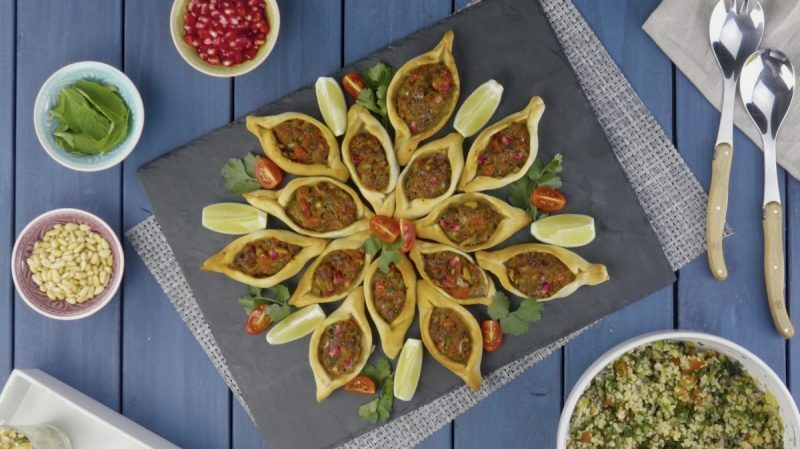 Decoratively arranged on a plate, this tarts look super delicious, right? And if you think it looks great, just wait until you try it — there won't be a crumb left in sight once you and your friends get ahold of this dish! You can find the recipe for the Georgian Cheese Bread featured in the bonus video here.